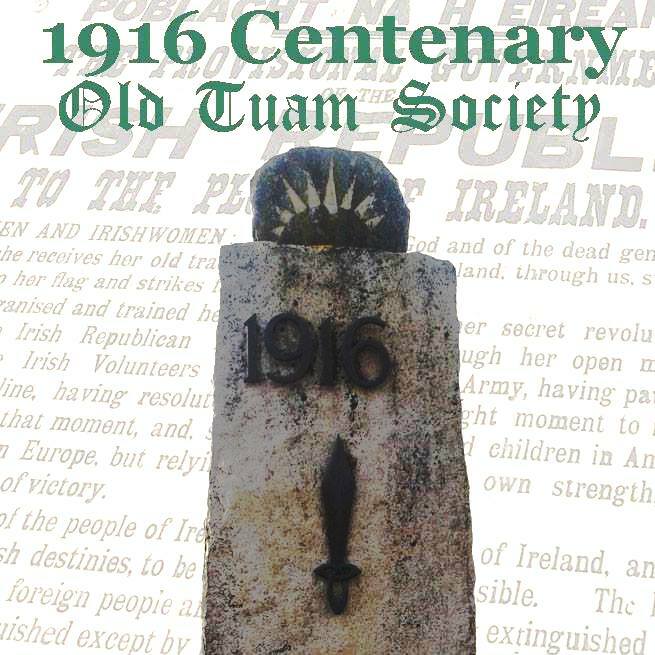 Tuam’s 1916 Commemoration will be hosted by the Old Tuam Society on Sunday 24 April 2016 at 2.30pm. The commemoration will take place at the 1916 Monument on Bishop St. The monument, first unveiled at the 50 year commemoration in 1966, is currently being specially revamped by the Society. A new commemorative centenary plaque will be unveiled by the Cathaoirleach of County Galway Cllr. Peter Roche and schoolchildren from the town’s four secondary schools will read aloud the 1916 Proclamation in Irish and English. Relatives and descendants of Tuam Volunteer and Fianna Éireann leader Liam Langley will be present for the occasion, as will the families of local War of Independence veterans. There will be some light refreshments afterwards.